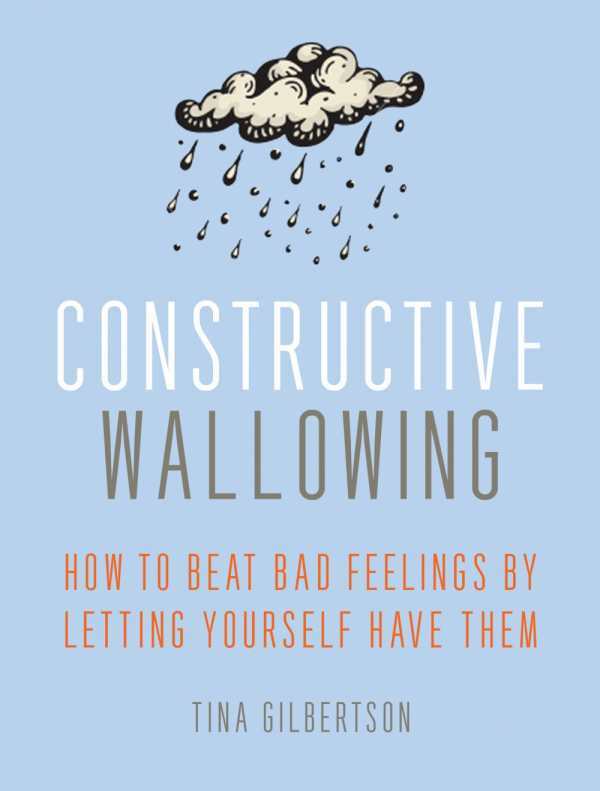 Laughter is the best medicine, as many have said, and psychotherapist Tina Gilbertson’s new book, Constructive Wallowing: How to Beat Bad Feelings by Letting Yourself Have Them is laugh-out-loud funny. The author conveys her insightful thesis in smart, welcoming language that entertains and enlightens along the way. The case studies are not run-of-the-mill. They provide fresh examples that resonate. Natasha is wheelchair-bound at eighteen years old and tries to read her way out of negative thoughts. Dan joins the military at age twenty-eight after failing at finding a job, and then steps on a land mine. Rage and sadness are his calling cards. Kendra appears to have it all but lacks motivation and feels bad about herself. Constructive Wallowing invites readers to believe that everyone’s issues, no matter how small, are important and that sweeping them under the carpet does more harm than good. “Keep in mind that your feelings are not the problem. The situation is the problem. Your feelings are just reminding you that the situation is not a good one,” Gilbertson writes. The crux of Gilbertson’s book, the T-R-U-T-H Technique is well honed in chapter 5 and emphasizes self-compassion over self-criticism. The guide to finding a “feelings-friendly therapist” in chapter 10 is worth the price of the book alone and can stand as a guide for engaging the right therapist no matter what issues one faces. Constructive Wallowing is insightful, intelligent, and a pleasure to read. Gilbertson’s theory is viable and she conveys it in a voice that has the reader hoping for a follow-up.